Often referred to as the ‘Old Red Sandstone’ the Devonian Period is usually divided into three parts. It lasted from 419 to 359 million years ago. 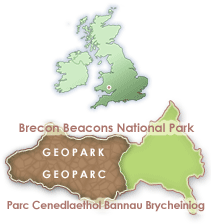 In fact the ‘ORS’, as it is sometimes referred to, has been an informal name for the rocks of the period in Wales and much of the UK but it also covers some of the youngest rocks of the preceding period – the Silurian – so ‘Devonian’ and ‘Old Red Sandstone’ are not exactly equivalent to each other. This period extended over 60 million years. It is divided into three series/epochs which are further subdivided into various stages/ages. 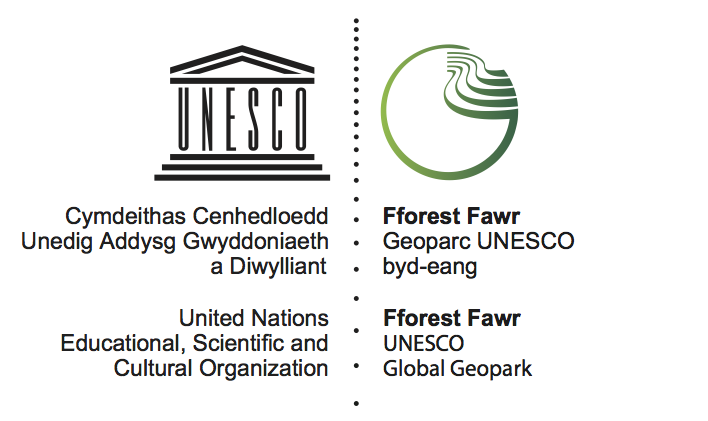 Only those stages in bold are represented in the rocks of Fforest Fawr Geopark.